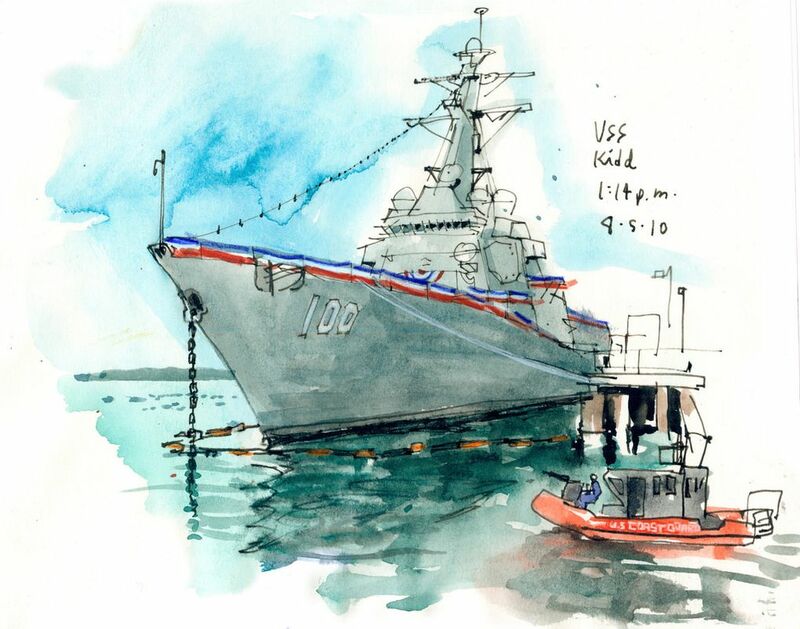 I’ve recently been near cargo and cruise ships at the Port of Seattle, so it seemed fitting to round up my experience of the waterfront with a visit to the war ships coming to Elliott Bay for Seafair’s Fleet Week. 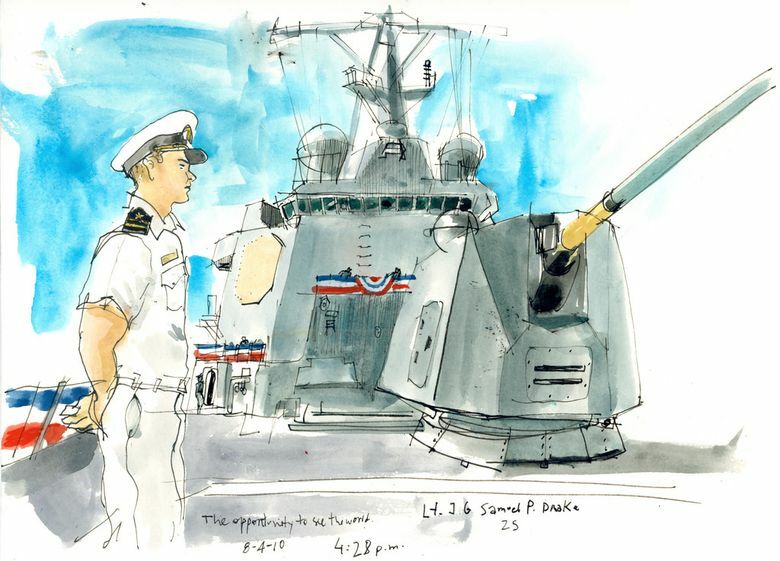 On Wednesday, I met lieutenant junior grade Samuel P. Drake aboard the San Diego-based destroyer USS Kidd, which is docked at Pier 66. The 25-year-old officer, originally of Amherst, N.H., is looking forward to setting foot in Seattle, a city he knows only from the TV sitcom “Frasier.” But he will get just a few hours off the ship, one of three U.S. Navy vessels coming to Elliott Bay this year. If you plan to take the tour, be prepared to go up and down steep stairs as you navigate through the narrow halls inside the vessel. You’ll also step on the helipad, see the “mess decks” where the sailors eat and take in the view from the bridge. Also, don’t forget to bring your Photo ID for the security check. Fleet Week ships are open to the public Saturday (9:30 a.m. – 3:30 p.m.) and Sunday (12 p.m. – 3:30 p.m.) Information at seafair.com. A Coast Guard boat patrols the waters near the USS Kidd at Pier 66.